An old, outdated kitchen is probably the last thing you want in your newly purchased or rented apartment. After having spent a fortune on the purchase, spending even more on kitchen improvement will not be easy on the pocket. However, you don’t always have to spend a lot to give your kitchen a makeover. Here is the 5 budget friendly kitchen remodeling ideas. Painting the walls and ceiling is affordable and will give your kitchen a brand new look. Choose the colours wisely and make sure you go for waterproof paints, because of the high levels of moisture in this room. If you’ve cabinets, make sure the colour you choose complements the colour of the cabinets. If the existing cabinets are in decent shape, you can get away with minor touch-ups and save a lot of money. Spray paint the cabinets with any colour of your choice to give them a brand new look. 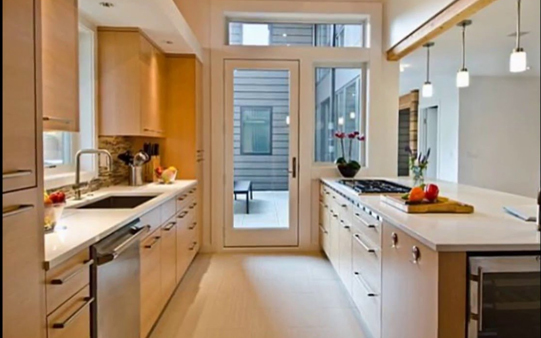 You can replace old doors and drawer fronts with new one to add more style to your kitchen. You can also consider laminating old cabinets with veneers to give them a new look. Varnishing and sanding is sometimes enough to bring back the lost lustre of olden wooden cabinets. A sure way to give your kitchen a modern and classy look is by installing new light fixtures. It can completely change the ambience of your kitchen and add warmth. All sorts of different styles are available, ranging from pendant style to vintage fixtures. Newer, energy-efficient models will help you save electricity while giving your kitchen’s decor a breath of fresh air. Aim for a mix of both natural and artificial lighting (overhead and under cabinets) for your kitchen. Under-cabinet lights are easy to install and can make a huge difference to how this space looks and feels. Some research is all you need to get hands on great-looking appliances at reasonable prices. Manufacturers lay a great emphasis on an appliance’s looks these days—regardless of whether you’re looking for microwave ovens, blenders, or refrigerators, you’ll come across numerous stylish models that are moderately priced. Also, if your budget doesn't permit investing in new appliances, you can simply get a professional to clean up any accumulated dust and grime on your existing appliances to leave them looking as good as new. When shopping for appliances, try and look for ones that have a similar appearance. Be consistent when choosing the colour and finish. You can also buy the same brand to maintain consistency more effectively. This will give your kitchen a more cohesive, designer look. 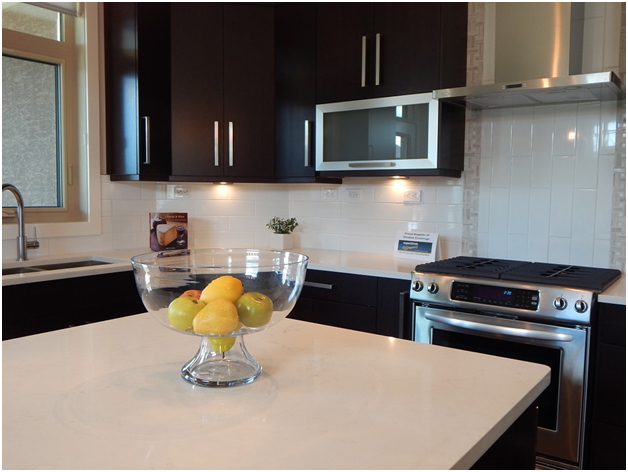 Kitchen makeovers increase both the visual appeal and the functionality of the new house on rent as a whole. And you don’t need to spend a bomb to do it right.